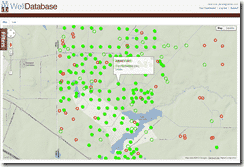 This post is the first in a series comparing the state oil & gas information sites to WellDatabase. We will not only compare the two but give a quick rundown on utilizing both systems. Hopefully along the way you will see what makes WellDatabase special as well as learn a little about how to use the existing state resources. SONRIS stands for Strategic Online Natural Resources Information System and is the system used by the Louisiana Department of Natural Resources for searching public oil & gas information. The system is made up of several pieces including options for accessing data in either the Java or HTML based system, separate document access, GIS, production, and royalty reports. 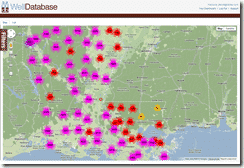 For the purposes of this blog we will focus on the well information that we maintain within WellDatabase, but it should be noted that SONRIS also contains information in regards to Hurricanes, Surface Water, and other Louisiana natural resource information. SONRIS offers a few different ways of searching for data, but we will start with the GIS system. The new GIS system can be found here. After closing the basic information dialog, you are presented with a simple, empty map. Remember that SONRIS is used for more than just oil & gas information, so there are many options here to choose from. We will start with expanding the Oil/Gas section in the Table of Contents and viewing those options. 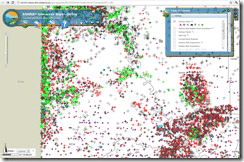 This GIS system is an ARCGIS implementation that has some inherent limitations. The first, most obvious is that you cannot select the Oil/Gas Wells option at the initial zoom level. You must first zoom to the 1:200000 level before the well spots will be visible. In order to zoom in, you must select the zoom in tool and draw your rectangle. You can not just zoom in on a point on the map. Once you do manage to zoom in to the scale needed, you can then check the Oil/Gas Wells option. We have zoomed in to the Caddo/Bossier parish area and we have a plethora of wells mapped. Now you may also notice that a series of icons have appeared underneath the Oil/Gas Wells item in the Table of Contents. These icons allow you to interact with the wells by showing labels (which are the well’s serial number), identify a well, select a group of wells, search for wells by a few fields, filter by status, exporting map data, and showing general metadata. To look at a well’s information, you just have to click the icon and then click the well you are interested in. You are then presented with a well information window like the one to the right. From there you can view the well details and the well documents. The well details page in SONRIS is not the prettiest, but it does present all the data in single page. This is a stark contrast to other state sites that require that you dig around for the various data parts of a well. 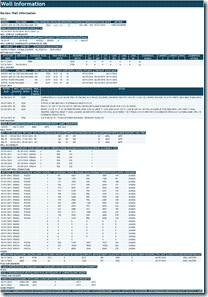 Below is an example of the well detail page. If you are looking for files, you can simply click the document access link. This page is also very simple and to the point with just a listing of the files and the ability to download them in either an image or PDF format. 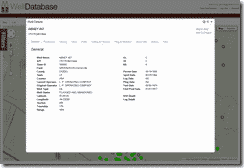 Data Access – Lots of canned searches and ways to search by various data inputs. It’s a little cumbersome to look through. I typically stick with using the Lite version since it doesn’t require Java. Document Access – Again somewhat cumbersome to search through, but it also contains a lot more than just oil & gas data. GIS – Be sure to use the new one as the old one is much more difficult to use. SONRIS GIS system is a standard ARCGIS system that is fairly refined, but it is not without issues. Number one, the inability to view the wells at a state-wide level. This is something that most states deal with since it is very difficult to deal with that much data in a mapping interface. 200,000+ wells on a map can definitely cause problems, but not seeing the data at this level makes it impossible to see larger trends. While a lot of people focus on a particular area, viewing larger datasets has advantages that most people don’t know their missing. Secondly, the memory to run the GIS app is pretty bad. In using some basic functions my browser was using over 120MB of RAM. While that may not seem like a lot, it is completely unnecessary for a website to use that much memory. This could cause issues with older computers and for users who typically run with lots of open programs. Another issue is the speed. There is a lot of time that you spend waiting for the map to update. Again, it is not a killer, just unnecessary. The last issue is that the interface is not horrible but not great. Finding wells, finding details, and searching requires too much clicking around and takes you in and out of three different systems. The reason for this is both the fact that SONRIS is for more than just oil and gas information and they use an ARCGIS system which works that way by default. 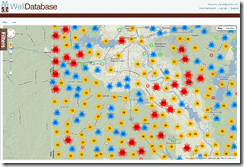 WellDatabase uses a custom clustering system to allow well data for the entire state to be viewed at once. The clusters are color coded with the number of wells shown for the cluster. When zoomed completely out the clusters are done on a state level. As you zoom in the clusters break down to the parish level and then further into logical groupings based on location. 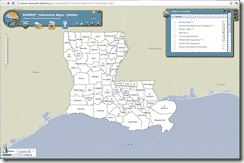 The screenshot here is already filtered down to just the state of Louisiana and zoomed to the parish cluster level. Zooming in further into the Bossier / Caddo parish area shows how the clusters continue to break down and show trends in the well densities. As you continue to zoom into the target area, the clusters break into individual well spots. This happens when the total number of wells in the map is less than 5000. To view the well name and API, you simply click on any well spot. The pop-up will also provide a link for the detail page. This may seem basic but it does contrast to SONRIS in the fact that you simple click on the well you are interested in without having to select tools to do so. Since WellDatabase is focused solely on oil and gas, we can simplify our process of finding data. 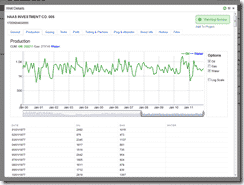 Once you click on the well detail page, you are presented with a simple, organized view of the well data including charts for production and a simple listing of all the files available for the well. The performance of WellDatabase also far surpasses that of SONRIS GIS system. During the creation of this blog I did not have a single loading screen or delay when moving through the map or well information. All the while the memory utilized for the browser was half of what SONRIS GIS required at around 66MB. For SONRIS being a publicly provided, free system, it certainly gets the job done. It is relatively easy to use once you get used to it and you generally are able to find what you are looking for as long as you have a pretty specific idea of what you want. For the increase in speed, ease of use, and overall better tools, WellDatabase is certainly worth the upgrade. Once you have to expand outside of Louisiana, it becomes a no brainer. Take a minute and sign up at WellDatabase to see the difference for yourself.